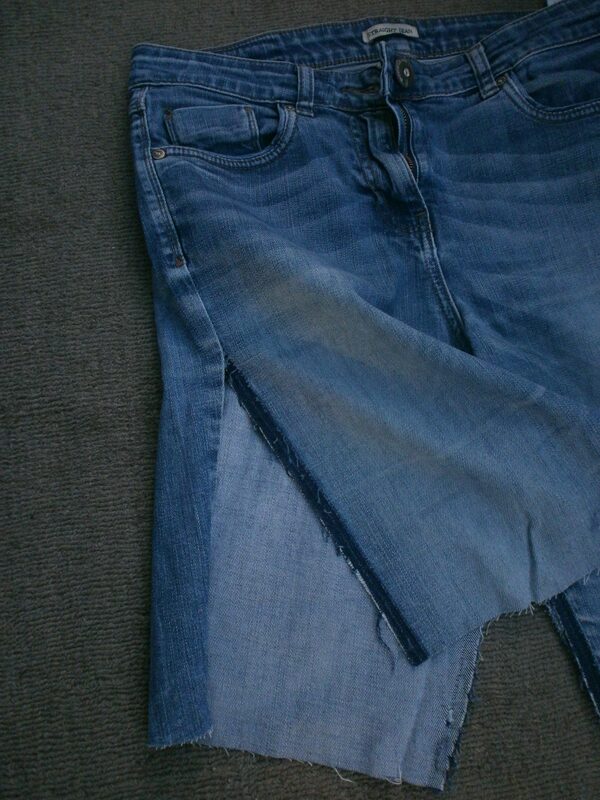 Since buying my denim sewing needles I have gone a bit mad with the denim upcycling! 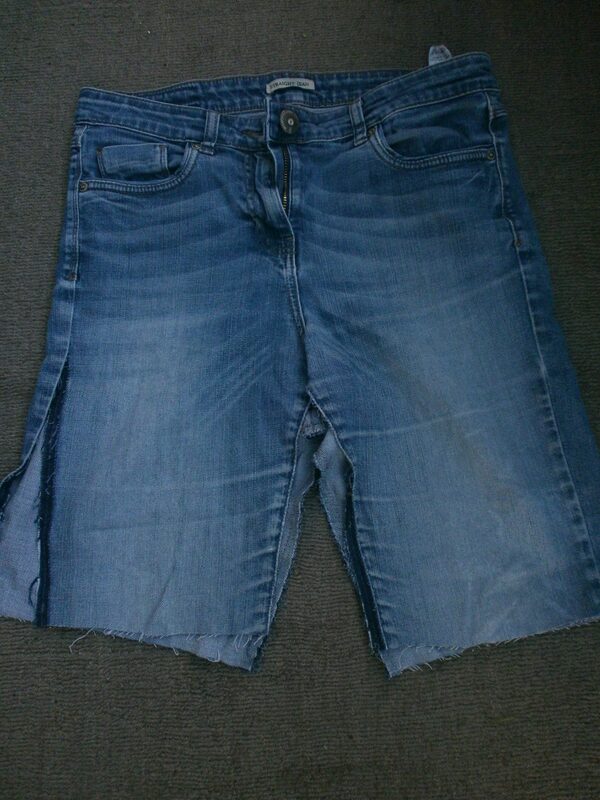 I mended – and then remade – some children’s jeans into shorts here. 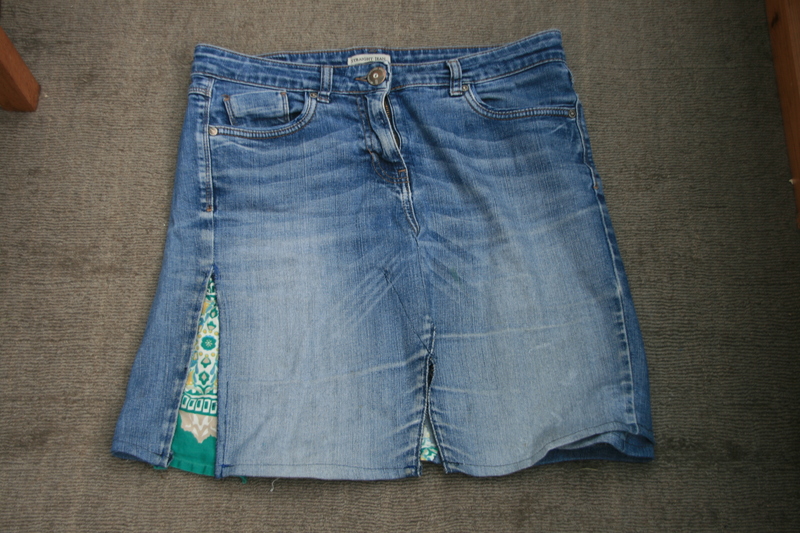 I also embarked on a rather long, but fulfilling, project to turn an old pair of jeans into a skirt. 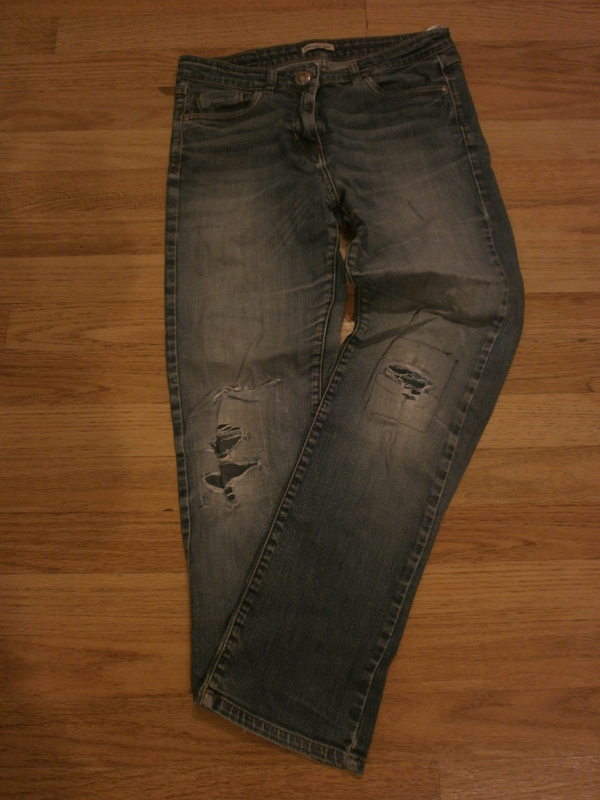 I started with this old pair of jeans which had been mended quite a few times, before being replaced by my second-hand Toast pair. 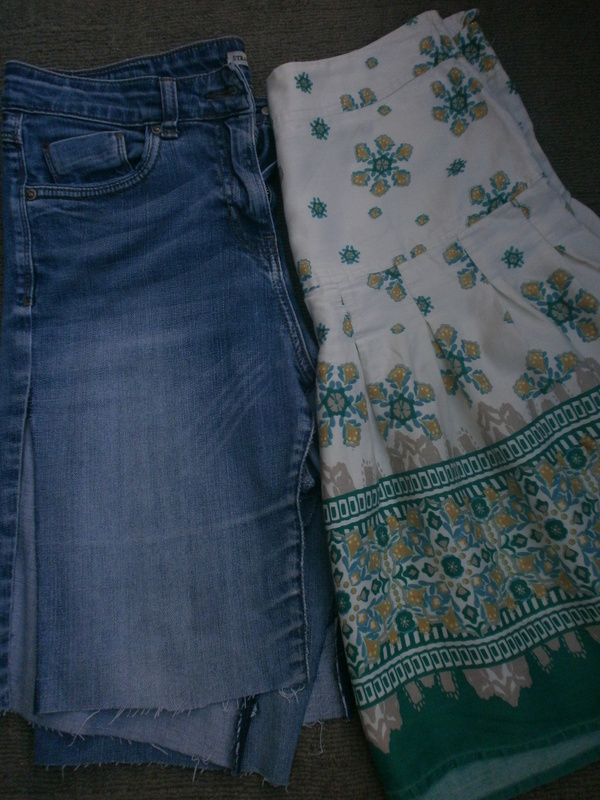 I also sewed some of the green skirt fabric down the side, which I had accidentally unpicked, but I didn’t add a patch to the front. 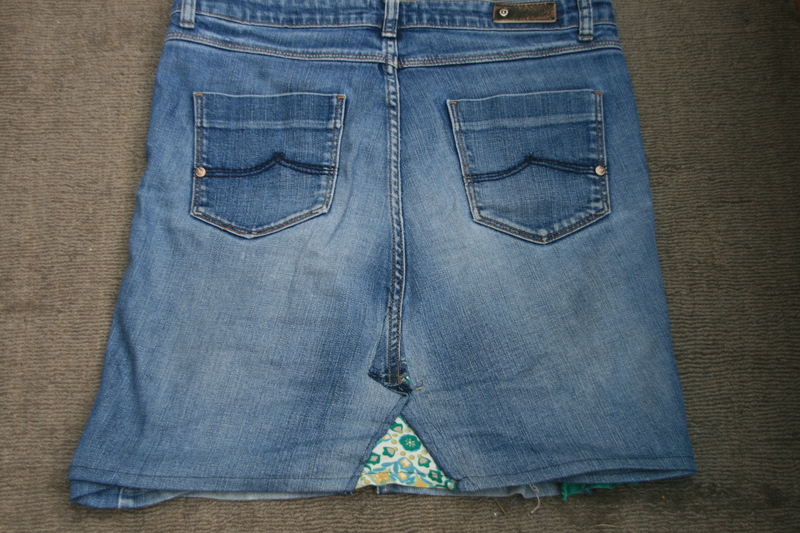 You can kind off see they were jeans and there is a fair amount of bad sewing in the project, but I like that it’s not perfect. 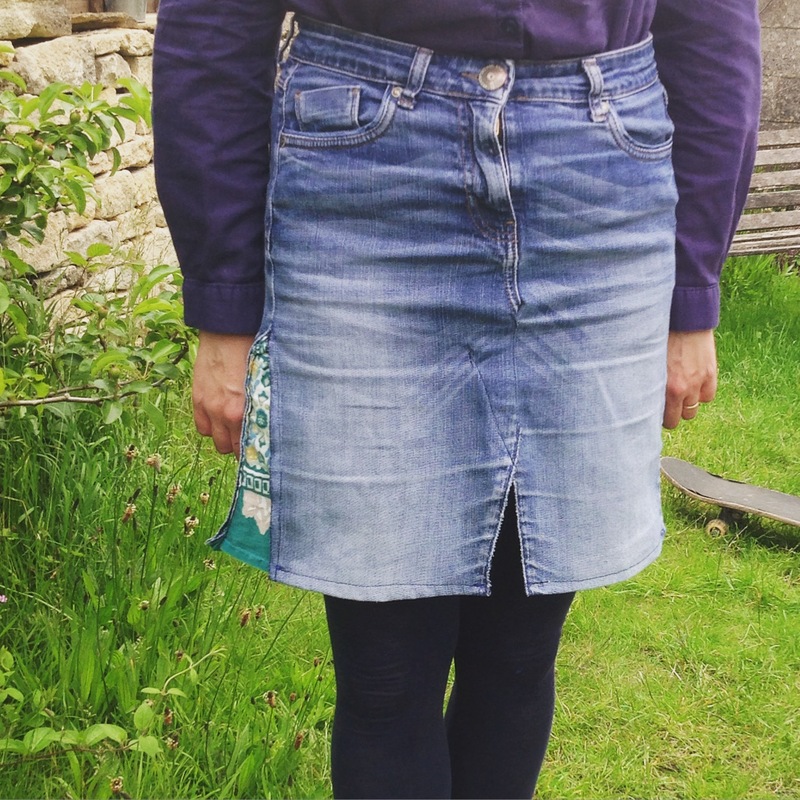 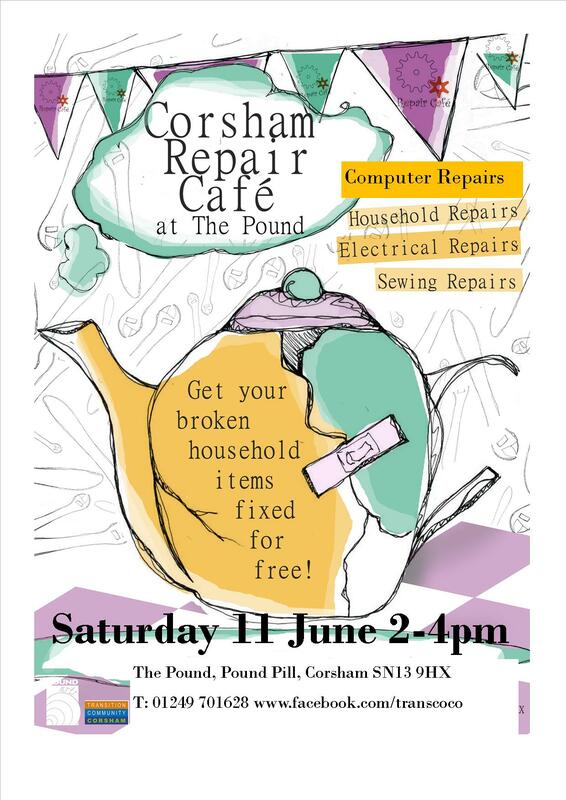 Tomorrow is our quarterly Repair Cafe and I intend to wear this skirt!